Three of Oliver’s old foes break out of prison and head back to Star City. They are after money and guns left behind by another former foe of Oliver’s. Arrow and the team go after them and the ACU intervenes. They are there to arrest the Green Arrow for the murder of Detective Malone. Arrow gets away. Felicity and Thea hack into Susan Williams’ computer and find all the photos and other evidence that Oliver is Green Arrow. Susan had asked him and he denied it. The two of them then proceed to plant evidence on her computer to point to her writing fake news stories for the last year. She is fired because of it. She tells Oliver how it is a coincidence that she asks him about being Arrow and just a few hours later loses her job. He confronts Thea about what she and Felicity did to Susan and how it ended her career. Oliver talks to the head of the ACU team and tells him that Arrow didn’t know Malone was at the scene because Prometheus had dressed him like him to convince Arrow it was him. That Arrow didn’t know until after he had unmasked the body that Malone was in the suit. Maybe instead of going after Arrow that he should focus on the real criminals. The team goes to trap China White, Cupid, and Liza Warner before they can add more bodies to their body count. The ACU shows up during the fight and arrests the three of them. He lets Arrow go. Lance feels responsible for what happened when Liza Warner tells him about hearing that he had worked with Damien Darhk. Oliver tells him he is not responsible for what they did. 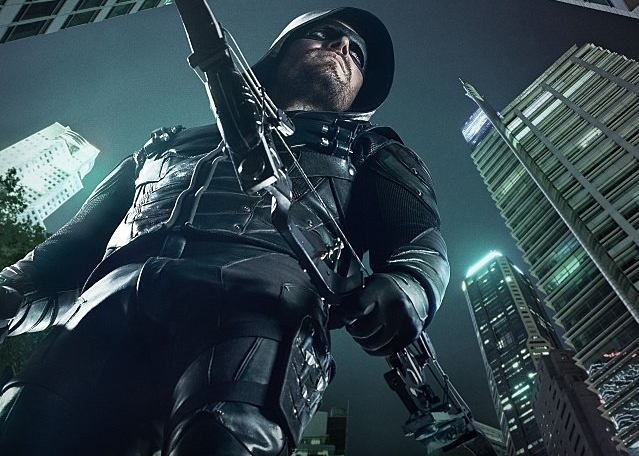 Next week’s episode Vigilante shows up once again and attacks Oliver. Felicity finds a clue that leads to finding out the true identity of Prometheus.